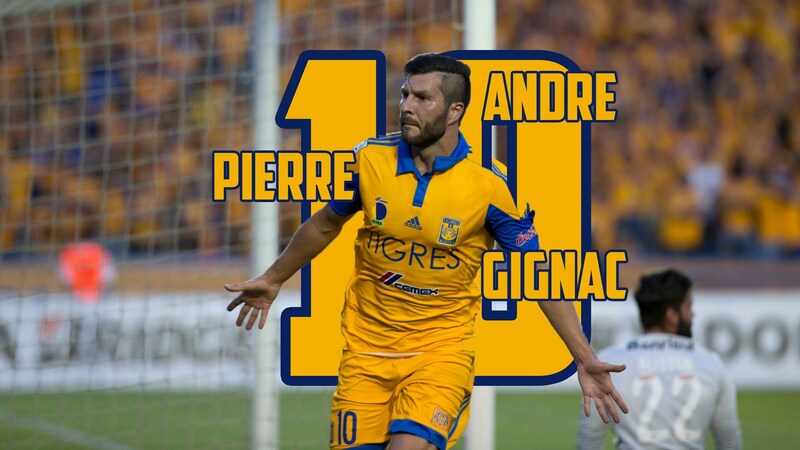 This is my last post on this blog and I want to talk about a player that I like : André-Pierre Gignac. I really love that kind of player. He is a combatant on the pitch with his team, “Tigres” of Monterrey but also with french national team. During the last summer, he decided to go to play to Mexico. Nobody understood his choice. “Not a good championship”, “Nobody leave Europe to go to Mexico”. But he shows to everybody that he is a great striker. He scored many goals this year. He also helped his team to win the Copa Libertadores, the equivalent of Champions’ League in South America. He has been named best player of Liga MX, the Mexican championship. It’s a great performance for the french player just arrived in Mexico. Now, he is one of the most famous player in Mexico. A family named their son Andre Gignac Quistian Palomo. What a tribute for a football player!! I really hope that he will take part of the french national team during Euro. I really think he deserve it. And you? Do you think that he deserve to take part of the french national team? This week I want to talk about french players in Europe. Dimitri Payet, the play-maker of West Ham United shined again against West Bromwich Albion : he was very actif in every part of the field. Just after the 30th minute, he offer a goal to his partner. His 10th assist of the season. Paul Pogba is awesome during this end of season. He offers to Zaza, the Italian striker, an amazing assist. This season he scored 10 times and he delivered 15 assists in any competition ! Against Carpi, he was again omnipresent. At the end of the match, the public of the Juventus Stadium sang : “We won’t sell Pogba”! A great tribute to a great player. During his match against Rayo Vallecano, Antoine Griezmann was absolutely incredible. He started the match as a substitute but when Diego Simeone, his coach, saw that his team couldn’t win without it, Simeone decided to let Griezmann in. 40 seconds later, the french striker handed his team to lead with a wonderful goal. If he keep his shape like this, french national team will be impressive. Elaquim Mangala, the french defender of Manchester City was not good. He miss everything. A game to forget. Yohan Cabaye, the midfielder of Crystal Palace, did a poor game. He also missed a penalty kick. While Aston Villa, already relegated, was leading 2-1 against Watford, Aly Cissoko th french defender take a red card at the 75th minute. Then his team conceeded two goals and lost the game. This season is just about to be one of the greatest season ever in Barclays Premier League. Leceister City is going to be the next champion of England championship! 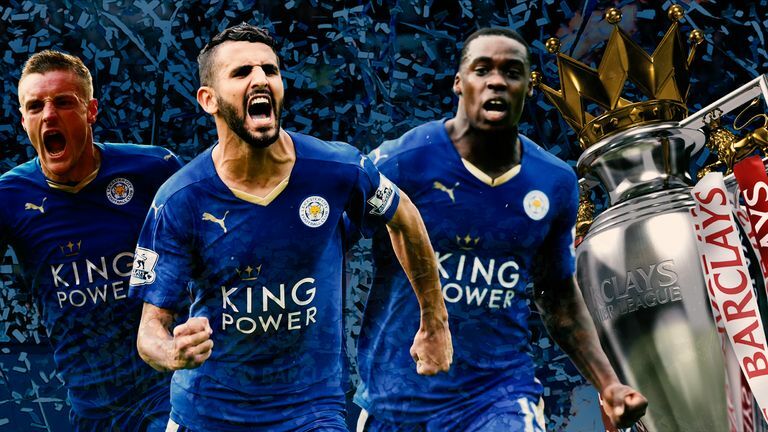 At the beginning of the season no one would be able to bet one euro on Leicester title. Even english bookmaker didn’t believed in their win. Its odd was 5000 against 1. But tonight, if Tottenham, the second of the championship didn’t win against Chelsea, Leceister will be the champion of this exciting season. It’s absolutely unbelievable because last season Leicester was closed to finish among the three worst teams. They were closed to be pushed into the second division. But this year, they are almost unbeatable. It’s a really great story for those players. Nobody believed in them and they show to the entire world that money is not better way to win titles. According to their coach, the Italian Claudio Ranieri, the best way to be champion is to have player with fight spirit and with wishes. Some of them were unknown of the general public like N’Golo Kanté, Jamie Vardy or Ryad Mahrez but now they are among the most coveted players in Premier League! As you probably heard last week, Johan Cruyff, a legend of football history died at the age of 68. He was a Dutch football player, maybe one of the best player of football history. He was the most famous number 14 in the world. As a football player he won FIFA Ballon d’Or three times. To win this trophy three times is a really great performance. Only 10 players in football history achieved this fantastic performance. With Dutch national team he played 48 games for 33 goals. He led the Netherlands to the final of the 1974 FIFA World Cup and received the Golden Ball as player of the tournament. At the 1974 finals he executed a feint that subsequently was named after him, the Cruyff Turn, a move widely replicated in the modern game. He is a video of his great performances. Today I will talk about the Nasazzi Baton. Maybe you’ve never heard about it. It’s a virtual trophy in the football world. The first owner was Uruguay national team after its win during the first World Cup in 1930. The name Nasazzi is the name of the captain of the Uruguay national team José Nasazzi. To win this trophy, the other national teams have to win a game against the current owner of the Nasazzi Baton during regular time. Currently, the owner of the Nasazzi Baton is the Ecuador national team since their victory against Uruguay the November 12th of 2015. This trophy is non-official but I think it’s a good idea because it allow small team to make part of history. Among trophy winner we can find Brasil, France, Nertherland but we can also find small team as Netherlands Antilles or Georgia. France win this trophy 7 times but the last one was in 2001 after their confrontation against Portugal. They lost it two month later after a defeat against Australia during the Confederation Cup. As I told you in the previous episode, next Euro will take place in France during June. During the random draw France was very lucky. The three opponent of France for the first round are affordable. France, Albanie, Romania and Switzerland… It could be Italy, Sweden or Russia but France was very lucky. The last confrontation with Switzerland for France was during the Brazilian World Cup in 2014 during the first round. France win this game 6-2. This match was absolutely perfect. This year Romanian level in lower than French one and Albania is very small nation in football. It’s a big surprise to see them qualified for this competition. It’s the first time of all history that Albania managed to qualified for a great competition! French team is composed by very talented players who plays in the best european teams. But we have to be careful because we need to qualify for the next round. In my opinion, French national team can win this competition. But to reach this goal, we will need every player at their best level. Pogba is one of the best midfielder in the world currently, Griezmann is a top scorer, Varane is one the best (probably the best) young center back in the world. If every french player plays at his best level during every match, french team could be unbeatable. And you, do you agree with that?